NASA’s Kepler mission is on standby, waiting to download its possibly final data to the Earth. A sudden drop of fuel pressure as observed recently may be an indicator that the spacecraft is running on fumes now. Perhaps we can get a few more days and weeks in, but perhaps not! With this, this mission will soon be coming to an end, a true discovery machine, with well over 2500 exoplanets (planets that orbit stars outside our solar system) confirmed and many more candidates found. Kepler also made remarkable progress on other astrophysics research, such as providing some of the first full supernova time-curves including their initial rise phases, and thus providing an unprecedented test of our understanding of these exploding stars and our ability to use them as standard candles to help assess the characteristics of the expanding universe. 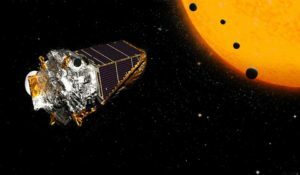 It is worth talking about Kepler because it is a mission that is not a flagship class – like Hubble, Chandra, or Webb – but conceived and developed by a team run by a principal investigator (PI). I have personally spent much of my career on PI-class missions such the Advanced Composition Explorer (ACE) (PI: Stone), and MESSENGER (Solomon) and I am compelled by their value. First, consider their speed: MESSENGER and Bepi-Colombo are both Mercury missions conceived in the same time-frame. The MESSENGER mission completed years ago with a 100% success and Bepi-Colombo, a strategic class mission, is launching onto its 7 year journey to Mercury this October. Principal Investigators can make trades between scope, schedule and funding of missions and have generally had very strong management performance: ACE, OsirisREx (Lauretta), GRAIL (Zuber) and several other PI-class missions were developed on schedule and below cost. And finally, PI class missions allow us to fly more often and develop talent across the entire community with both science and engineering focus. Make no mistake, we want to build big strategic missions like Hubble, like Parker Solar Probe and like Webb, even if they are sometimes tough and challenging. We cannot imagine astrophysics today without Hubble, and Webb will take the same place in our minds once this mission finally delivers science data. Strategic missions transform our thinking and regularly create civilization class missions – they don’t just change how much we know, but how we think about nature as a civilization. But, we always want to develop PI class missions as well. Guess who is taking over the reins from Kepler in hunting exoplanets? Another PI class mission called TESS (Ricker), which is soon moving into science operation. When it comes to space research, there is not just one size that matters – a diversity of approaches always beats a single approach, no matter what it happens to be.